Not able to attend the HIMSS conference this year? No worries. We've put together a list of some highlights from the conference and some newly posted resources from CMS that provide even more information on one of the many hot topics this year at HIMSS, the Merit-based Incentive Payment System. While there were plenty of topics covered during HIMSS this year in Orlando, Florida, one topic in particular was a central them: data. Data was brought up in a number of conversations at HIMSS by speakers and health IT leaders. The emphasis wasn't just on the use of data or the security of data, but on data transparency and how it can drive results and lead to better physician buy in. Fierce Healthcare was at HIMSS this year and did an exclusive interview with Mercy health system, one of this year's HIMSS Enterprise Davies Award recipients, and how they used big data to cut millions in surgical costs. Mercy health system, a St. Louis, Missouri-based health system, was struggling to control costs in the surgical suite and turned to big data to solve the problem. Mercy didn't just save $9.42 million last year in perioperative costs alone, they also reduced or eliminated targeted surgical products, reduced variation in surgical protocols and established best practices across surgical departments—all while ensuring quality postoperative results for patients. Fierce Healthcare sat down with Mercy health system's CMIO Todd Stewart, M.D. and data analytics and engineering pro, Jamie Oswald to talk through the ins and outs of making these dramatic changes—and their dramatic results. Click here to view the full Q and A.
Click here to watch now or view the opening keynote in the video below. CMS was a very active participant at HIMSS 2017; the HIMSS presentations listed below provide information on the Quality Payment Program and value-based care. Use the links below to access the presentations on each topic. According to a new study, 81 percent of U.S. healthcare organizations and 76 percent of global healthcare organizations will increase information security spending in 2017. The “2017 Thales Data Threat Report, Healthcare Edition” from cybersecurity technology and services vendor Thales and analyst firm 451 Research released the survey results at HIMSS17. Click here to read the full Healthcare IT article summarizing the survey results. “The delivery of care over technology is very much here,” Roy Schoenberg, M.D., CEO of telehealth company American Well, said at a session on retail healthcare and patient engagement during the HX360 event at this year’s HIMSS meeting. Providers are taking on greater financial risk with reimbursement tied to outcomes and seeking telehealth platforms to assist in reducing healthcare costs with more modern care delivery models. Read the full session report by Fierce Healthcare on Telehealth, remote monitoring and home care helping providers meet patients where they are. At HIMSS this year healthcare IT executives voiced a broad range of perspectives regarding potential changes to the Affordable Care Act and any replacement plans that might follow according to a Fierce Healthcare exclusive. Executives spoke with FierceHealthcare about prospective changes to the healthcare landscape and what an overhaul of the landmark healthcare law could mean for IT budgets and investment opportunities. Several noted that any changes could trickle down to IT budgets, forcing them to reprioritize ongoing or prospective IT initiatives. Some, like Jacques Orces, D.O., chief medical information officer at Miami Children’s Health System, said an ACA repeal will hurt his system's bottom line following a seven-year period of financial improvement when more children in the Miami area had coverage. “We have razor-narrow margins,” Orces said. Click here to view the full Fierce Healthcare exclusive on the potential ACA repeal. Did we mention we were at HIMSS this year? Check out some of the pictures we snapped on the exhibition floor at #HIMSS17. 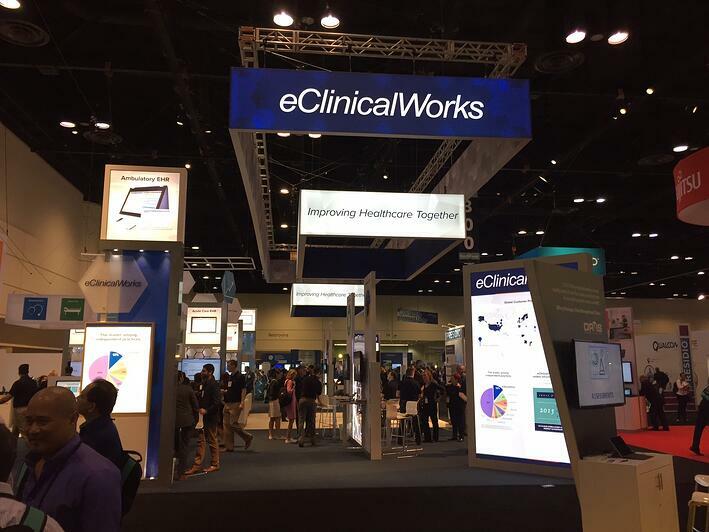 Of course we paid a visit to our EHR partner eClinicalWorks at their very impressive booth at HIMSS. eClinicalWorks had their ambulatory and acute care EHR available to showcase how they are leading the way in improving healthcare together. 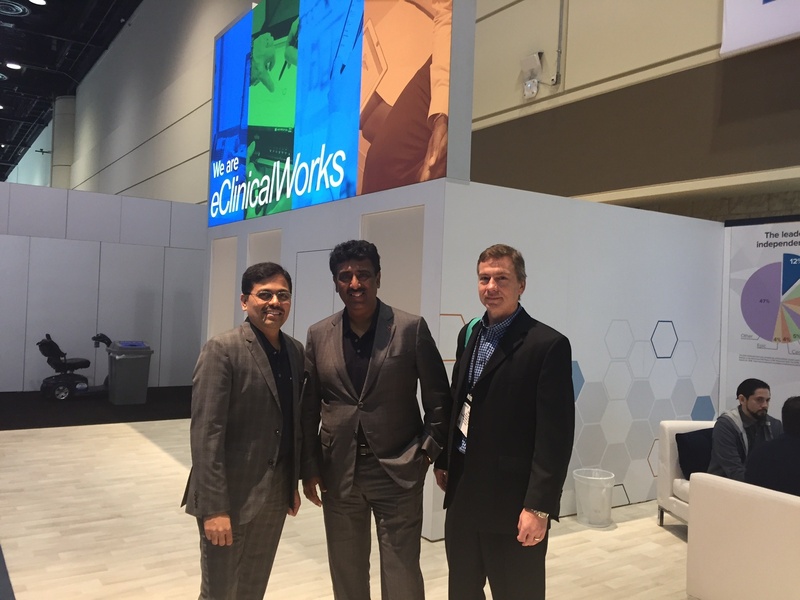 We also had the pleasure of catching up with @eClinicalWorks CEO Girish Navani and fellow cofounder Sameer Bhat! 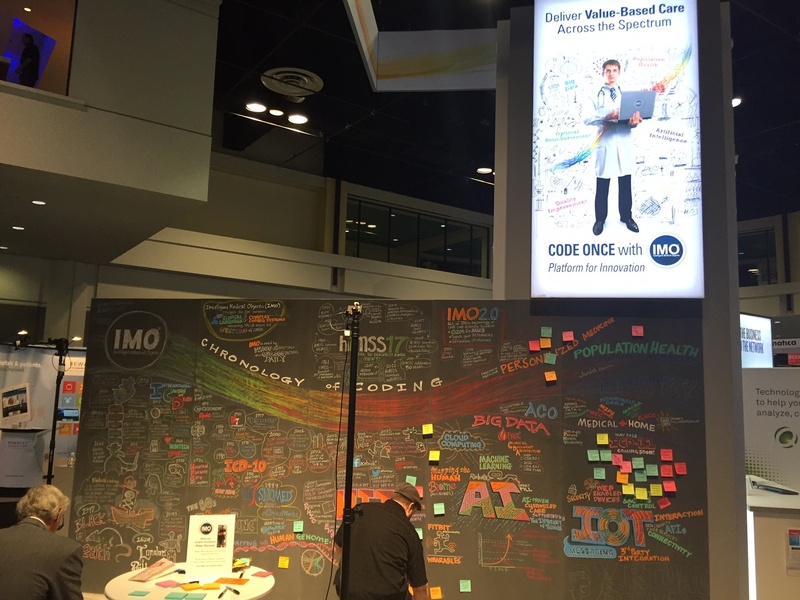 Stopped by booth 4651 to see our friends @IMOsolutions and add to the journey through healthcare informatics! 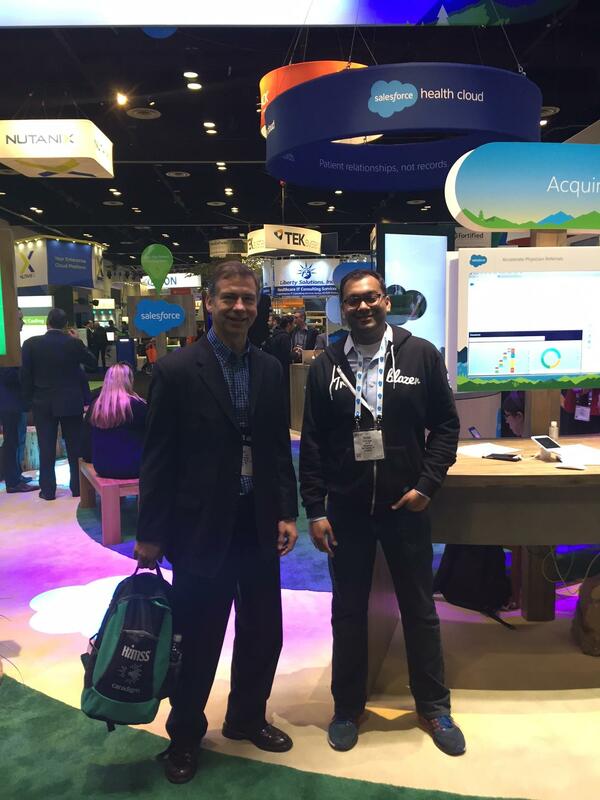 We also saw our friends from Salesforce at HIMSS this year and learned how the Salesforce Health Cloud is transforming patient journeys. 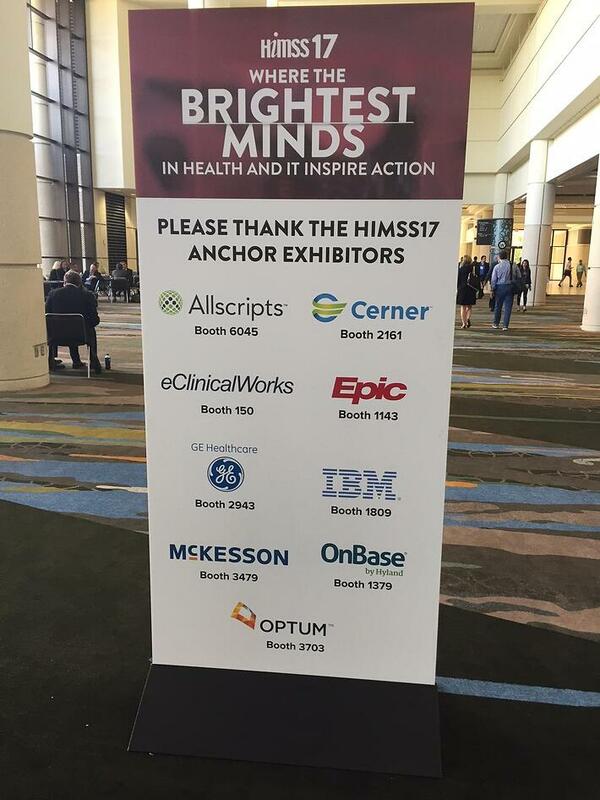 Thanks again to the Anchor Exhibitors at HIMSS this year. Most full conference registrations* include online access to education session recordings for one year and you can view all the session you missed anytime and anywhere. If you didn't attend HIMSS and want to gain access to the educational discussions and success stories from HIMSS you can register here. Desktop and mobile-friendly streaming plus the option to download session handouts. Session recordings are eligible for continuing education and may be applied toward CAHIMS and CPHIMS and enduring credits (ACPE, CME, PDU, CNE, LLSA and others. Are You Ready for HIMSS18? Save the date for next year's HIMSS conference! HIMSS is headed to Las Vegas from March 5-9, 2018 and we can 't wait to see you there. Click here for more information on the upcoming HIMSS conference happening at the Sands Expo Center.